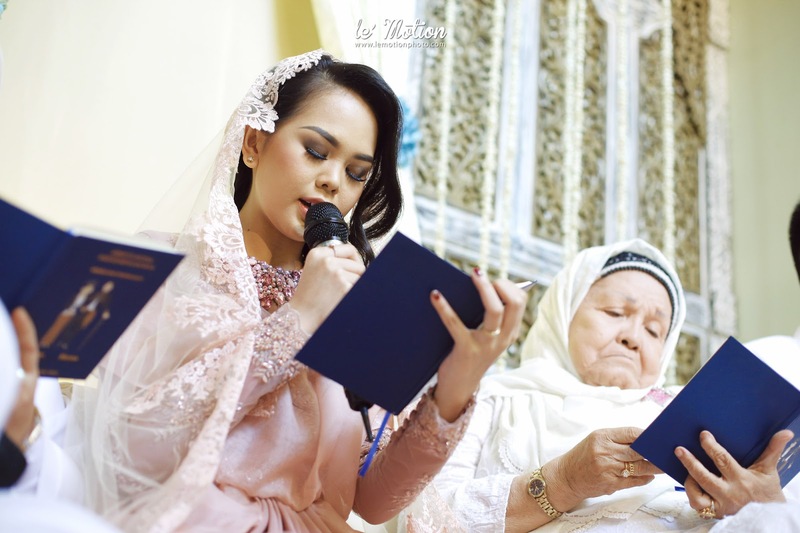 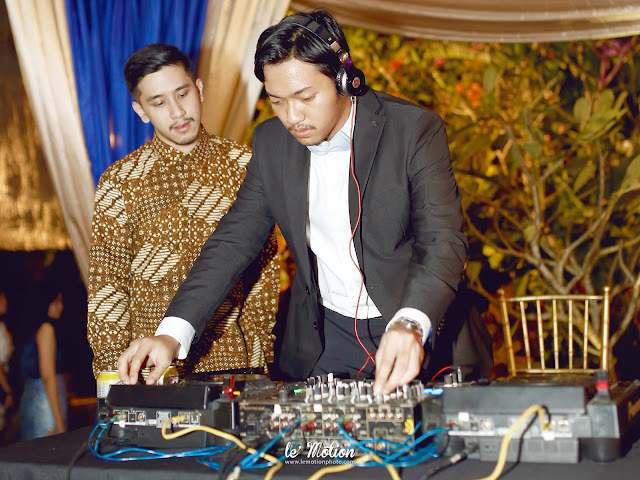 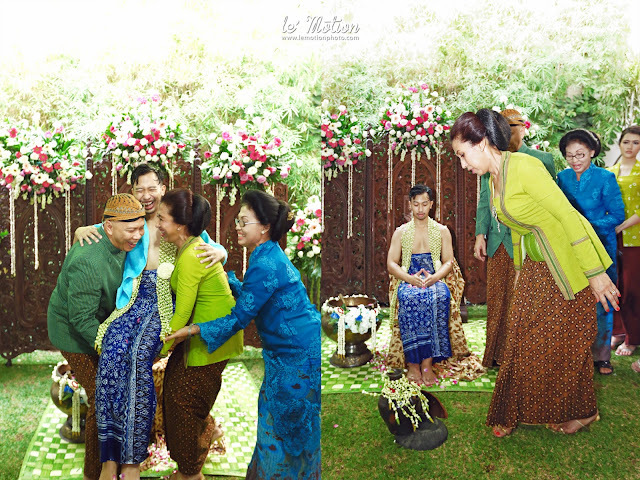 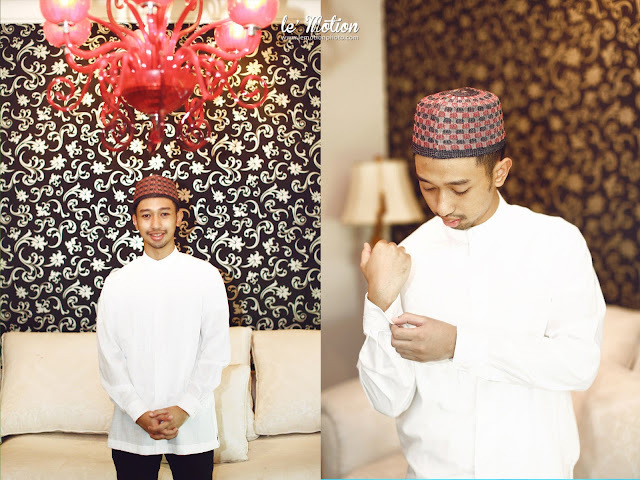 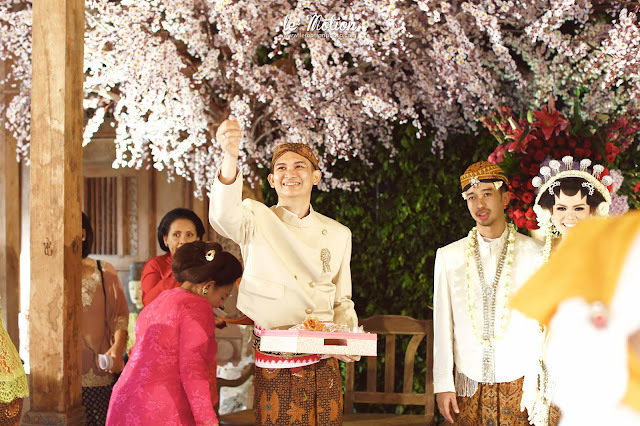 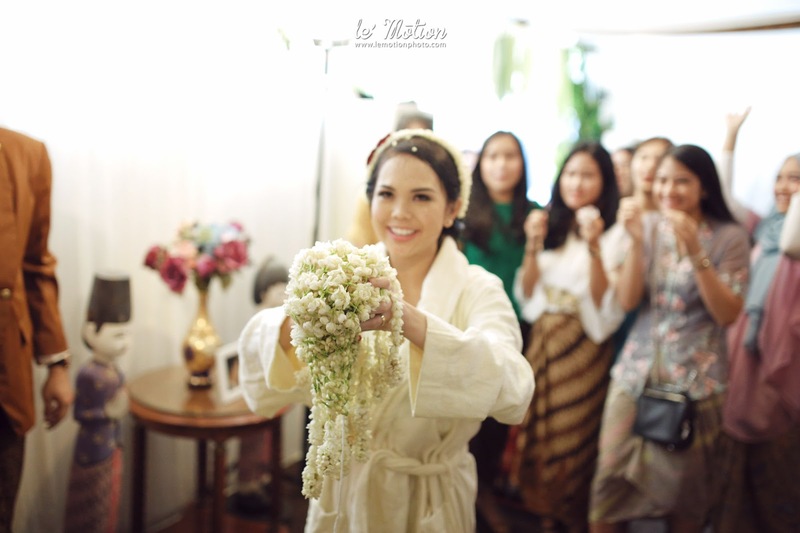 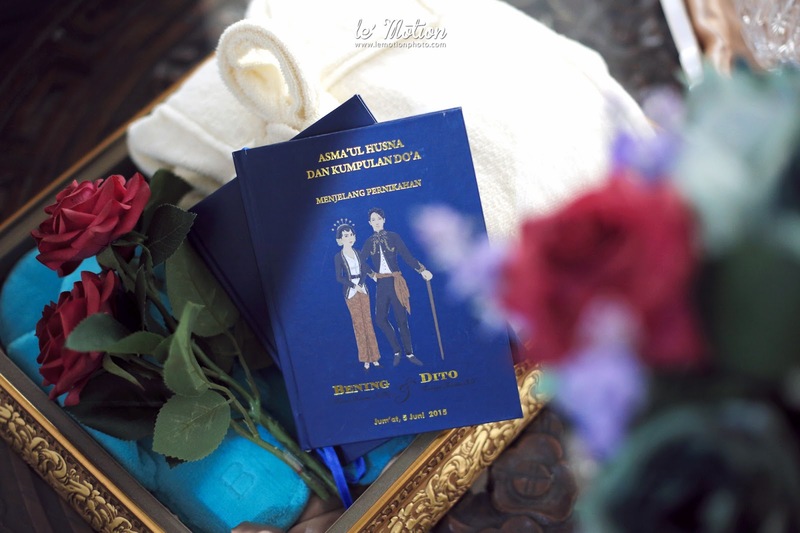 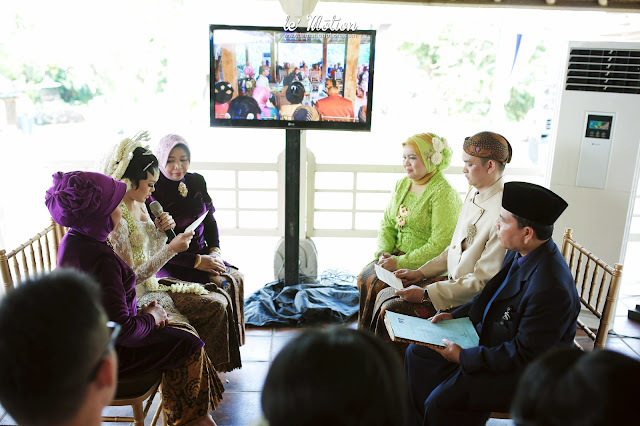 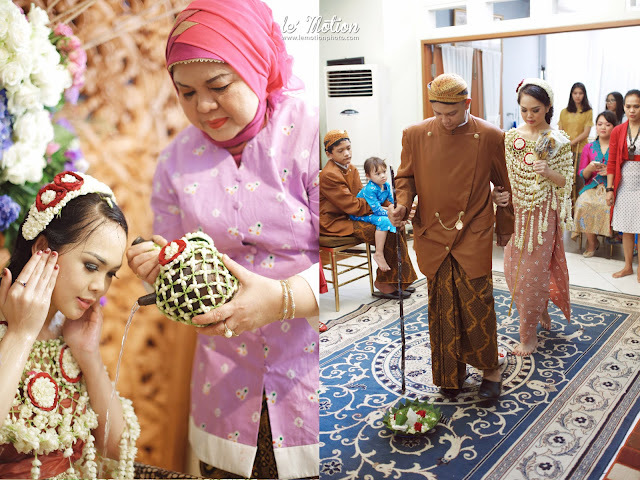 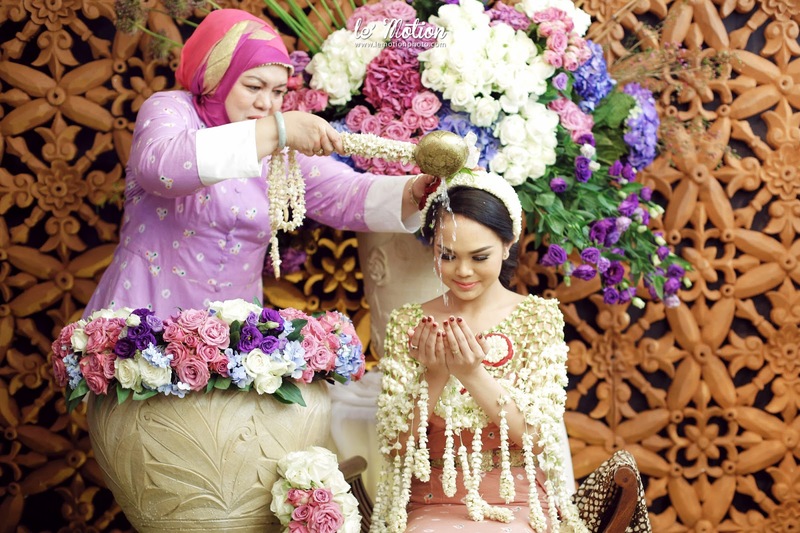 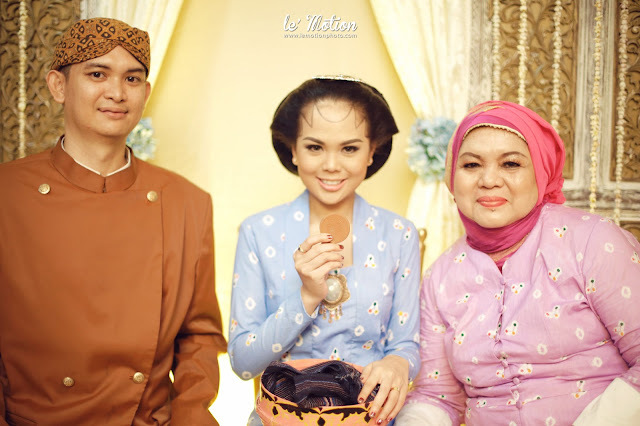 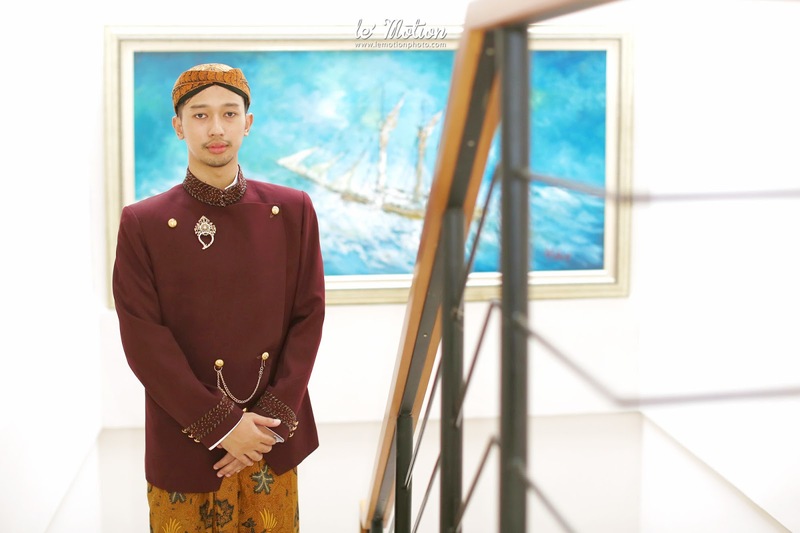 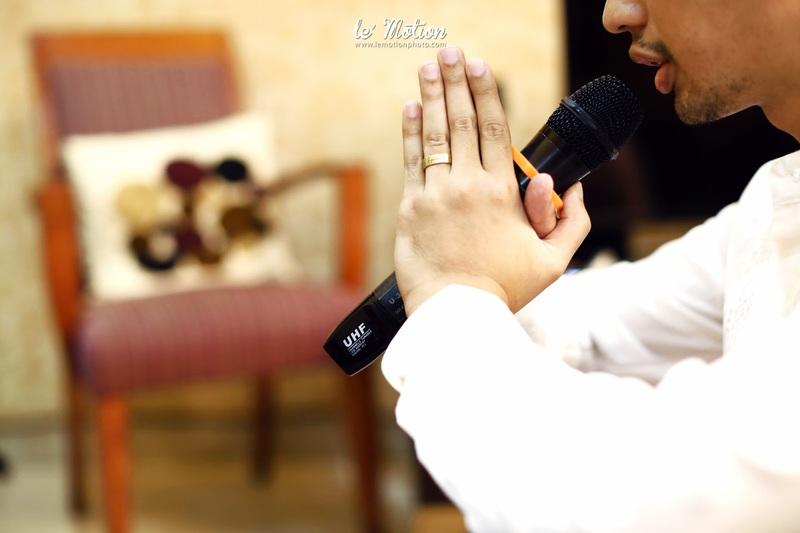 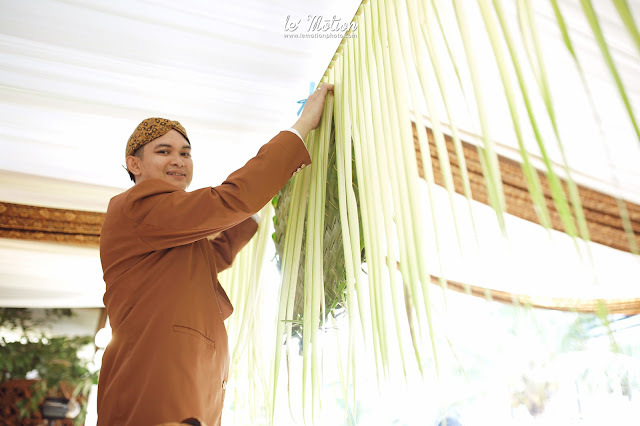 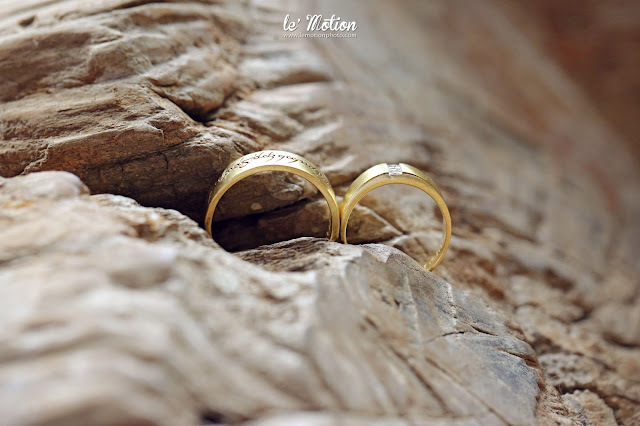 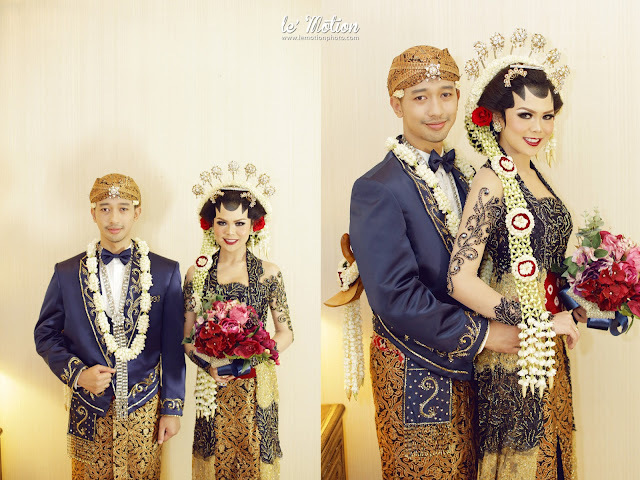 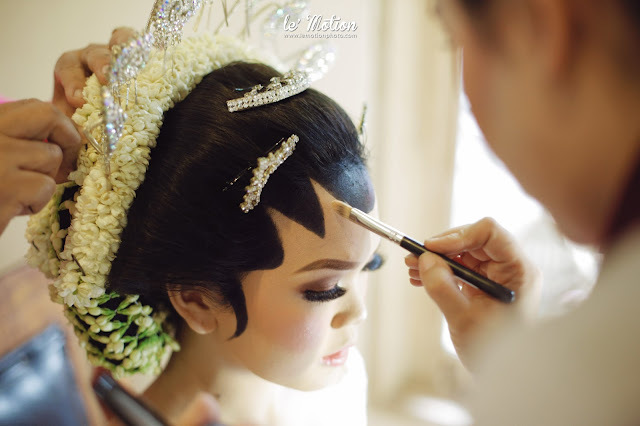 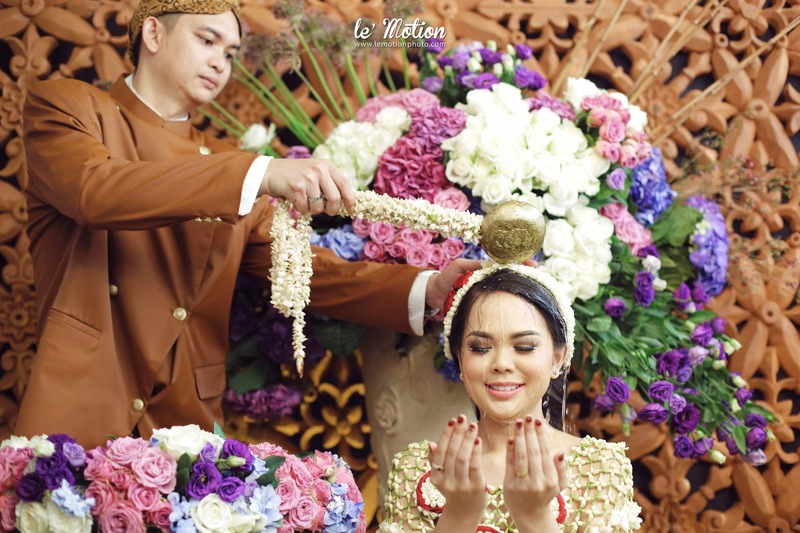 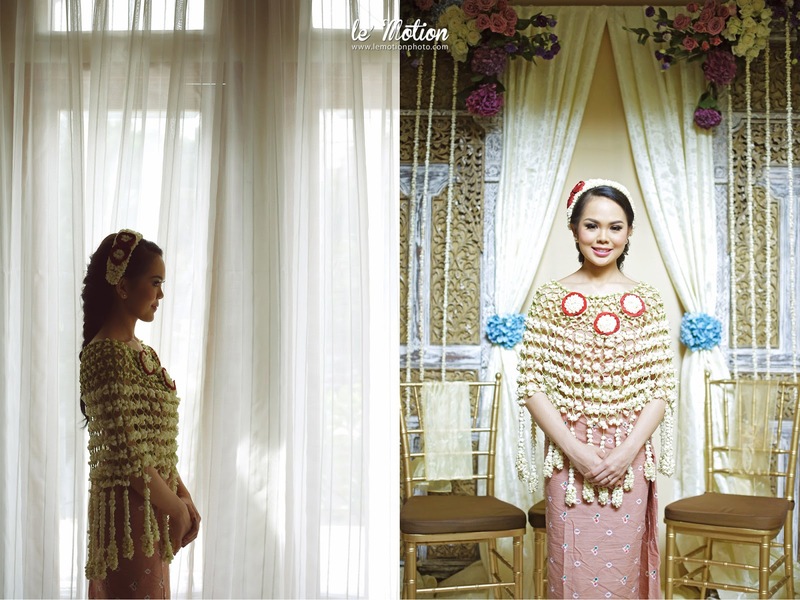 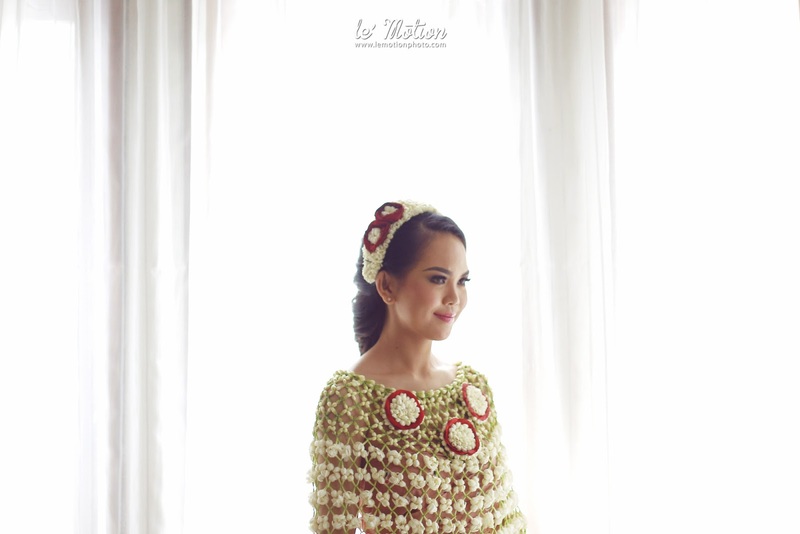 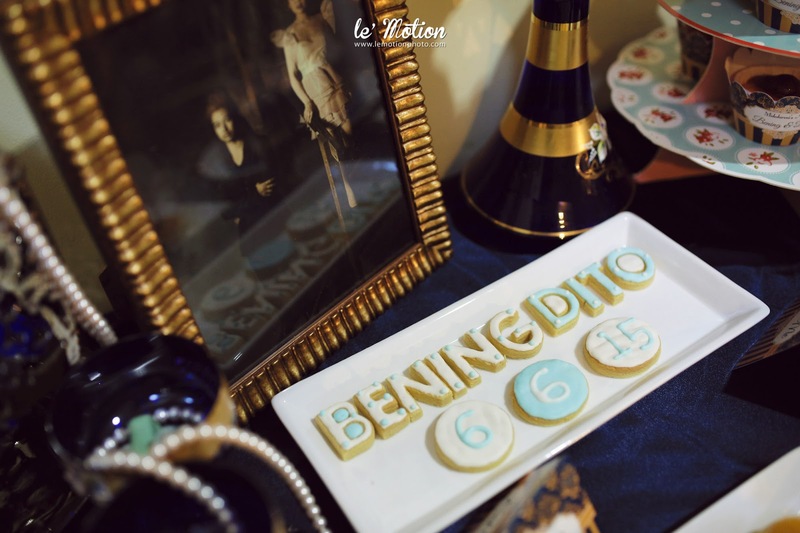 The preparation of Bening and Dito's wedding ceremonial is less then a year, said them. 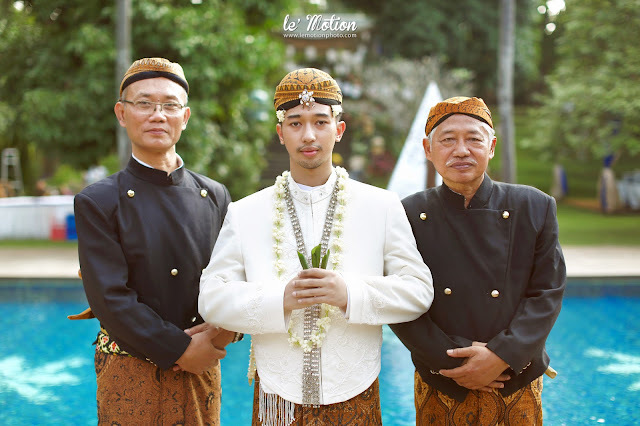 They choose to wears the traditional Javanese culture costume because Bening’s father is a Javanese so that Dito’s background is from Java. 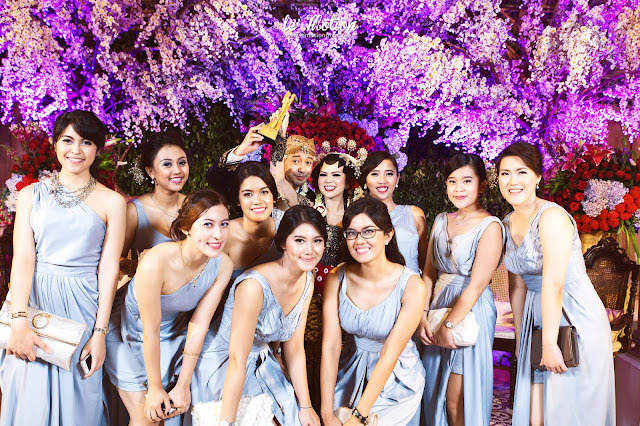 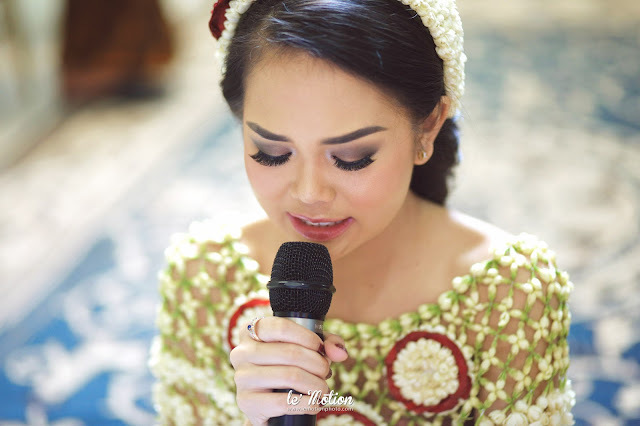 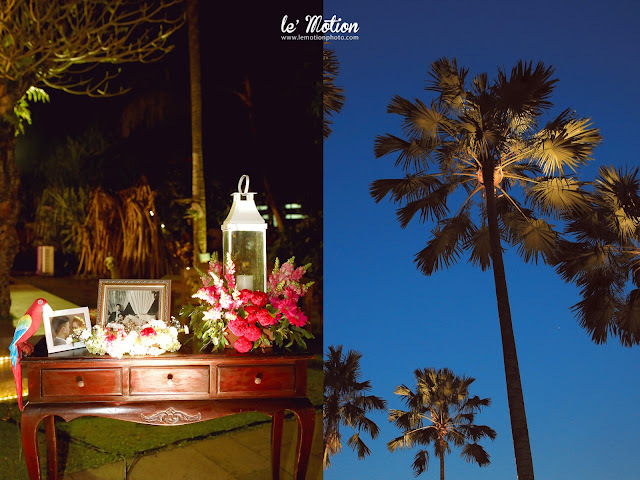 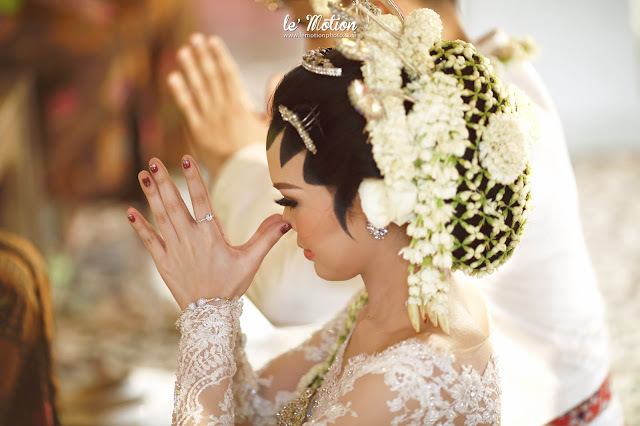 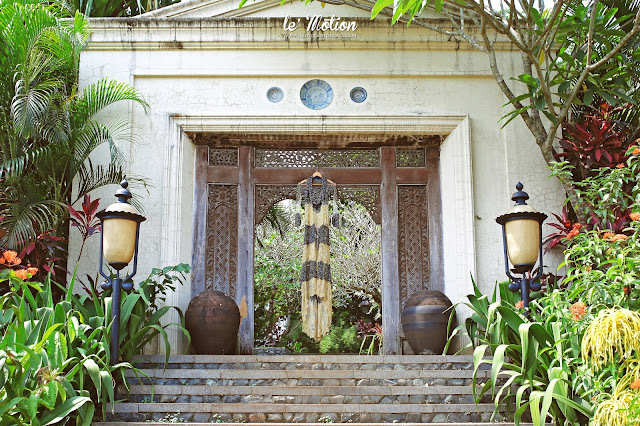 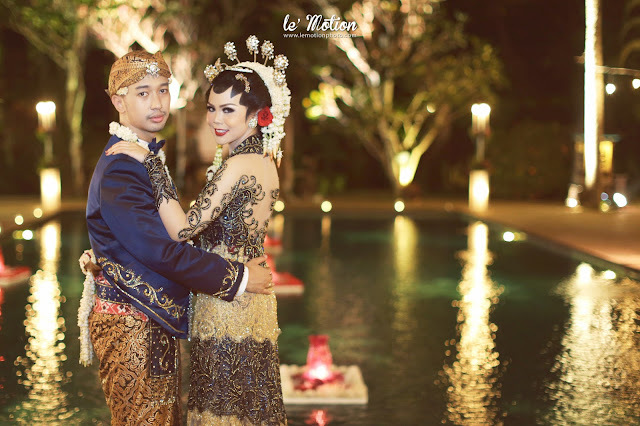 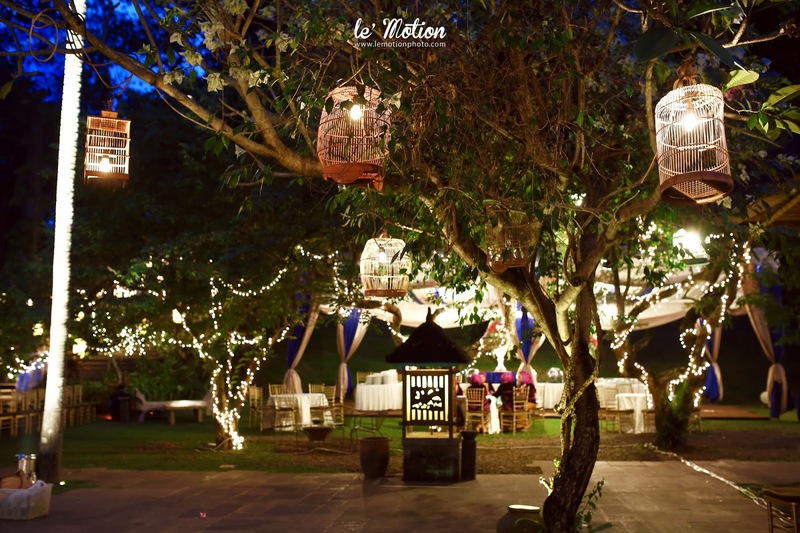 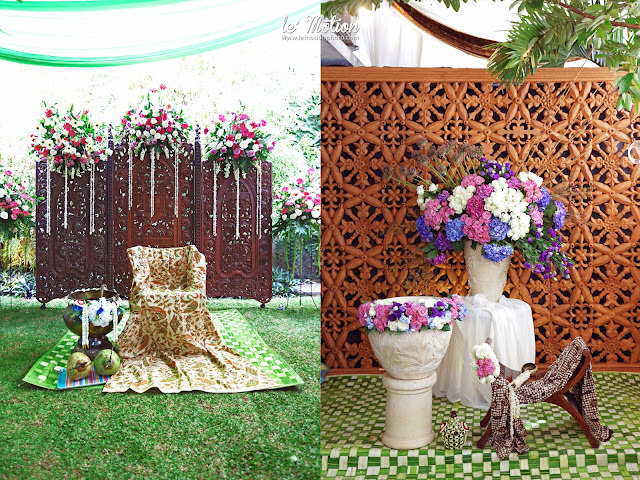 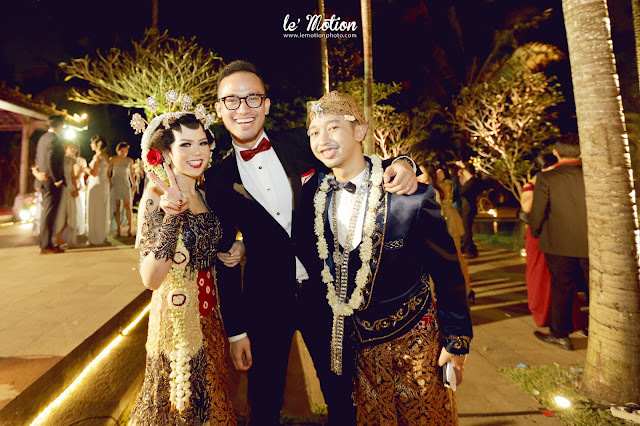 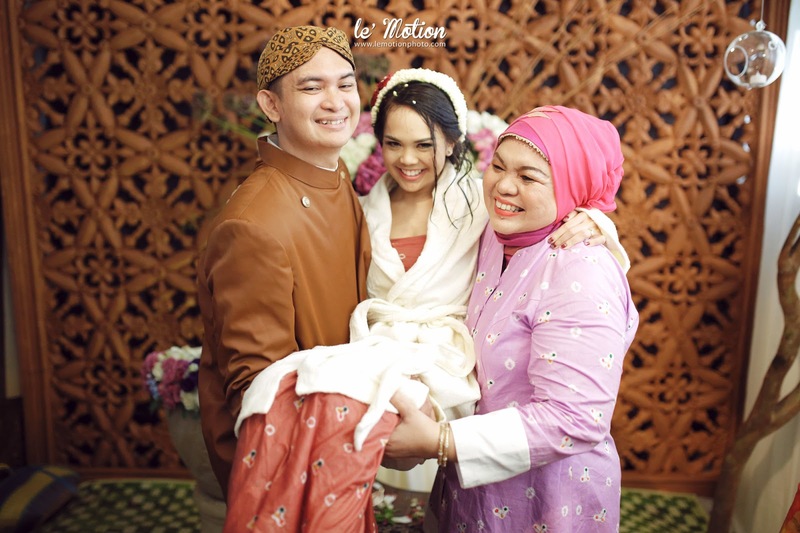 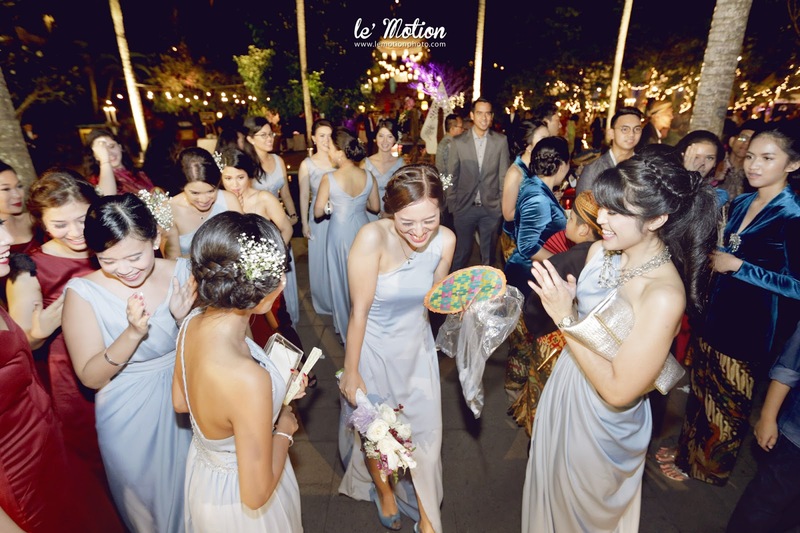 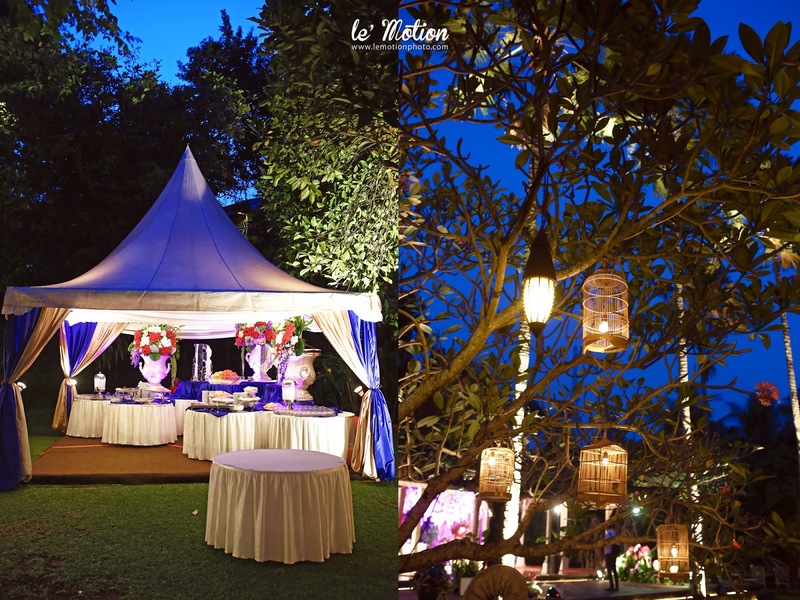 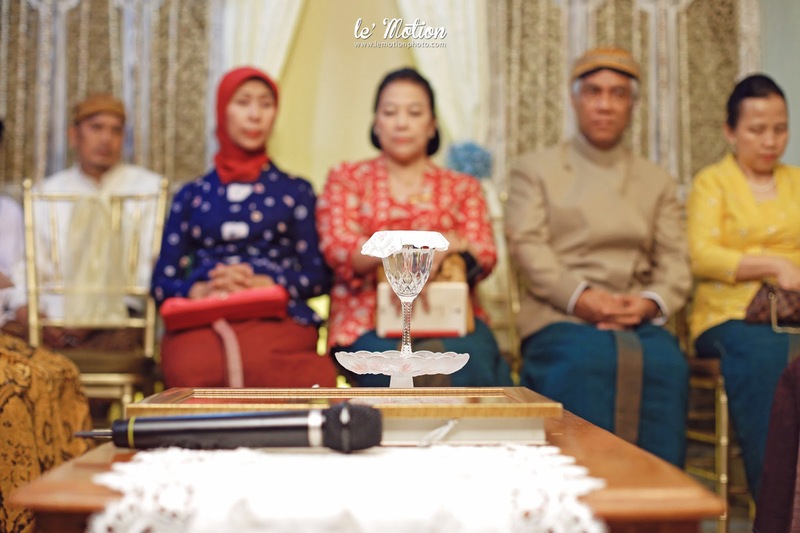 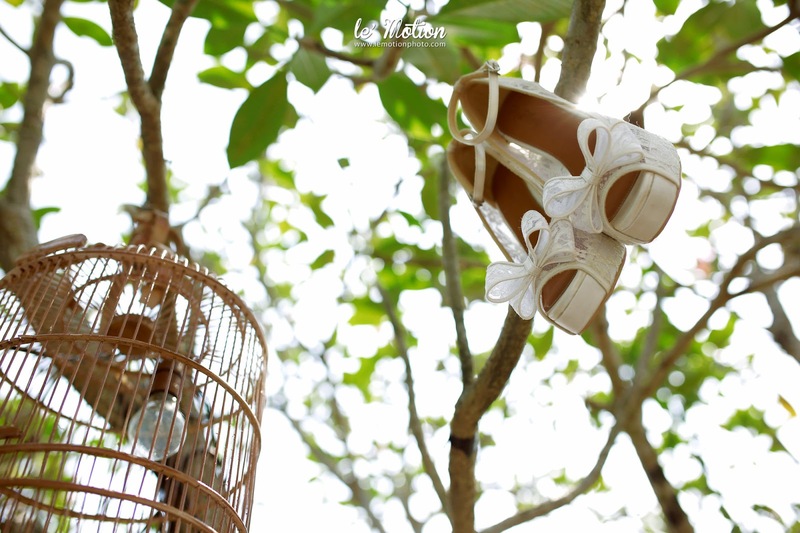 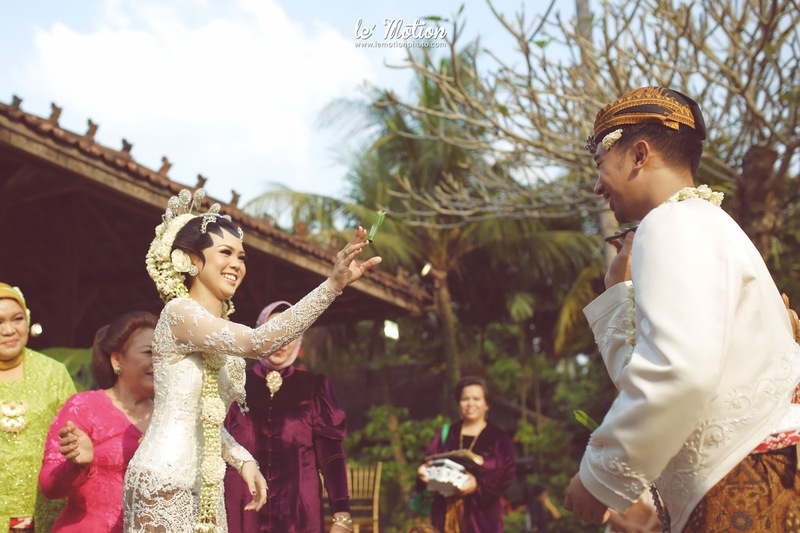 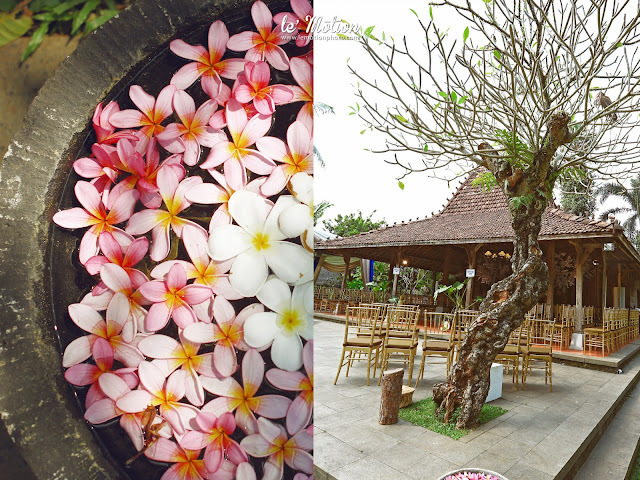 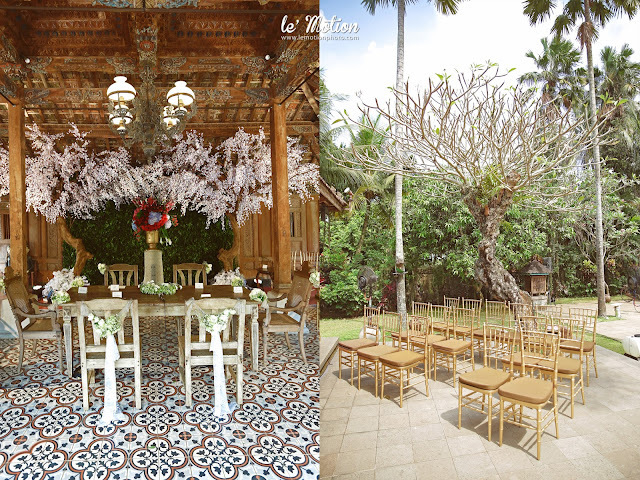 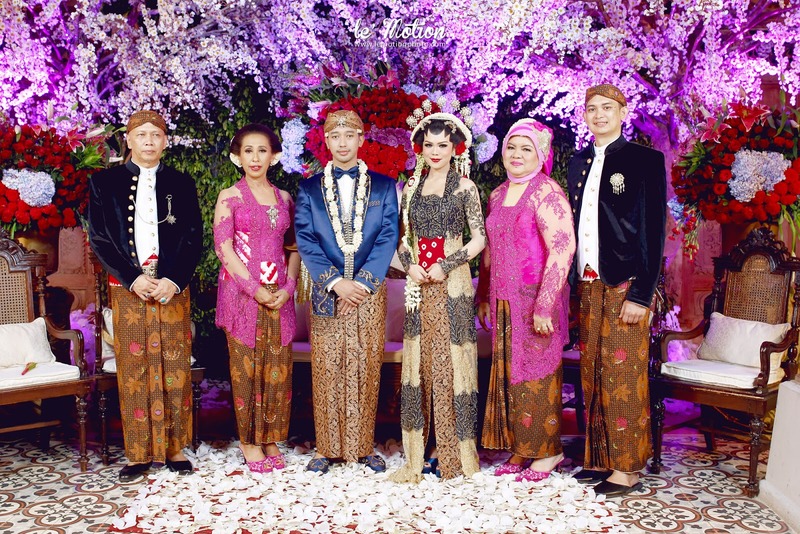 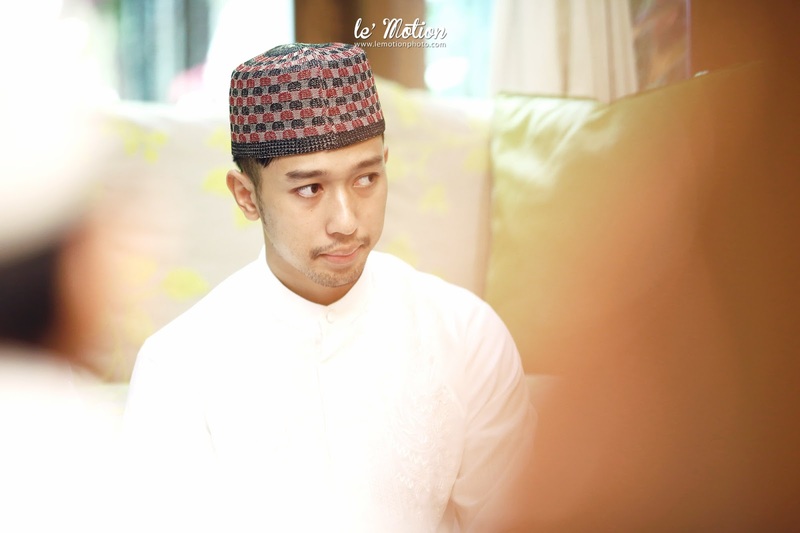 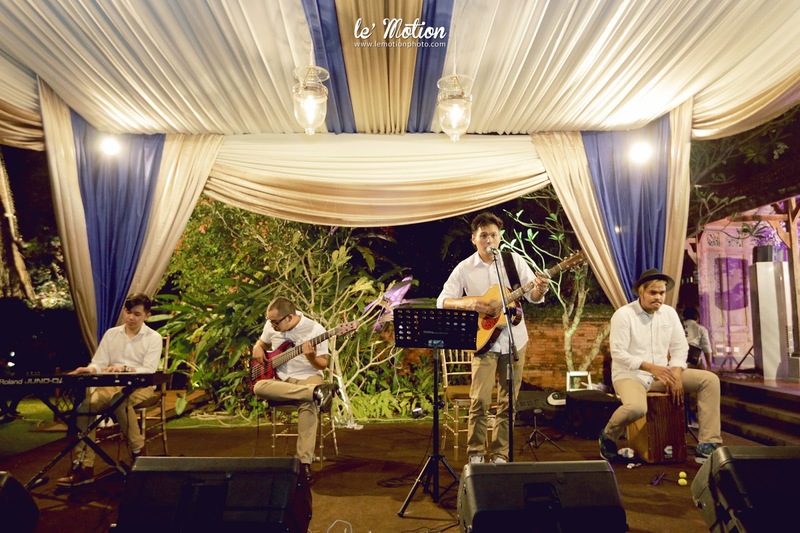 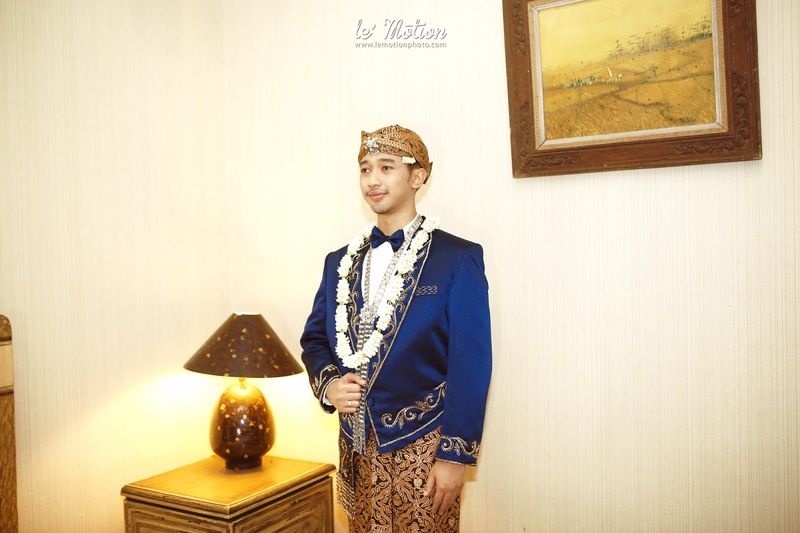 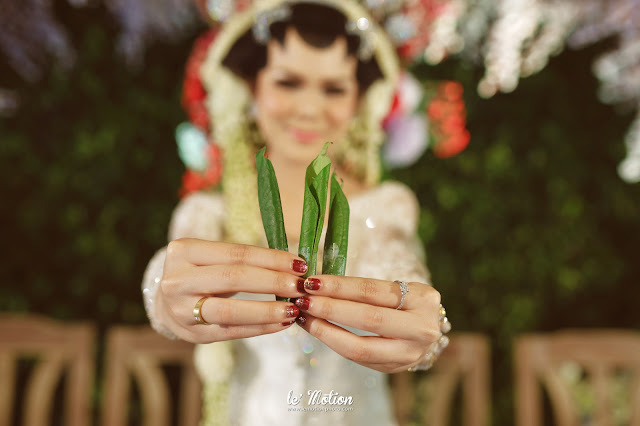 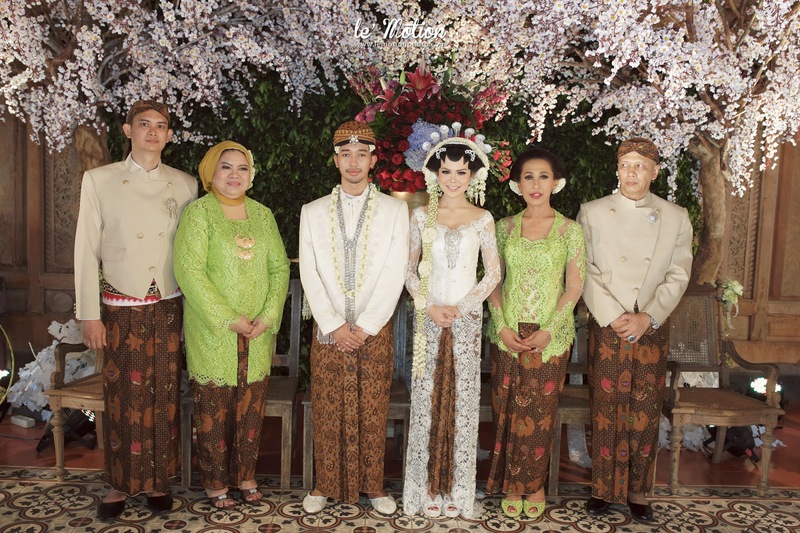 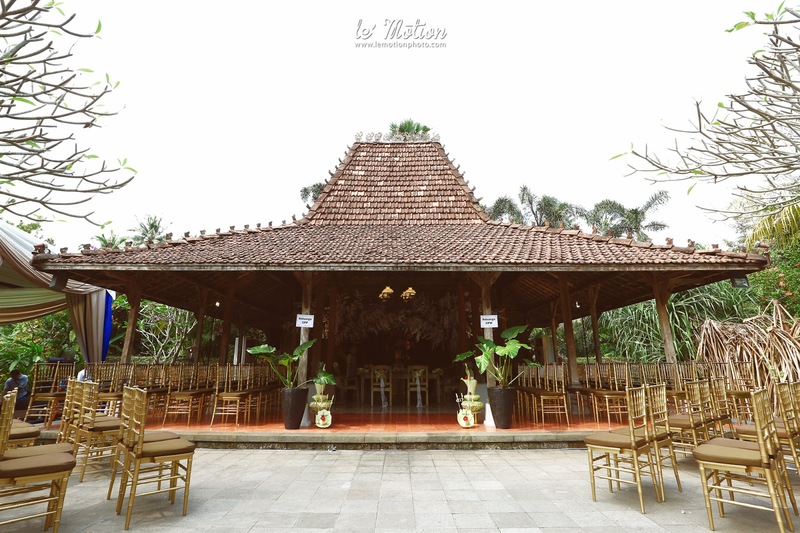 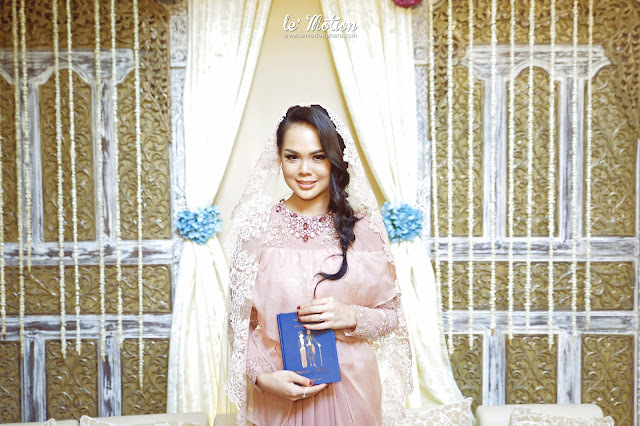 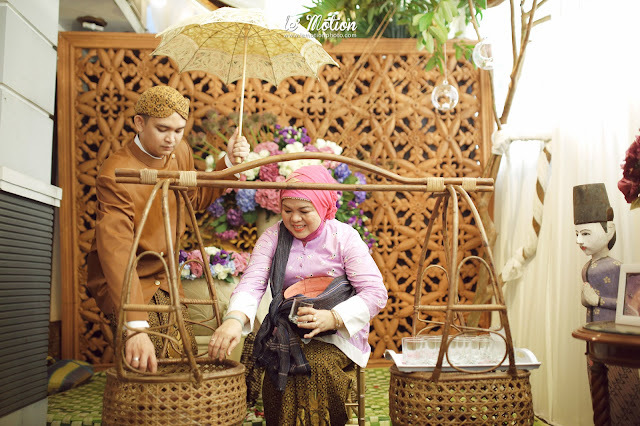 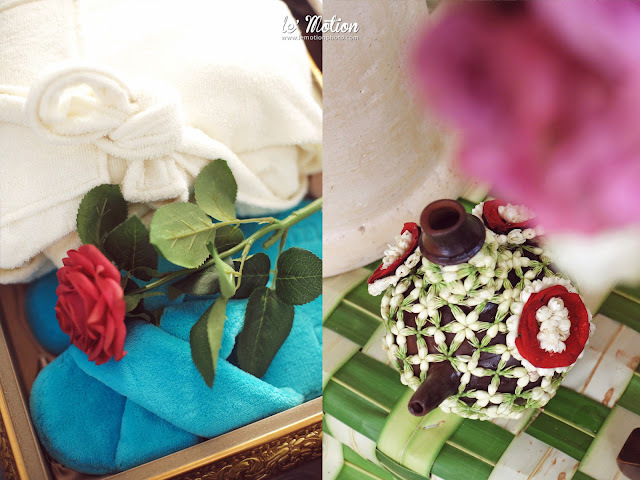 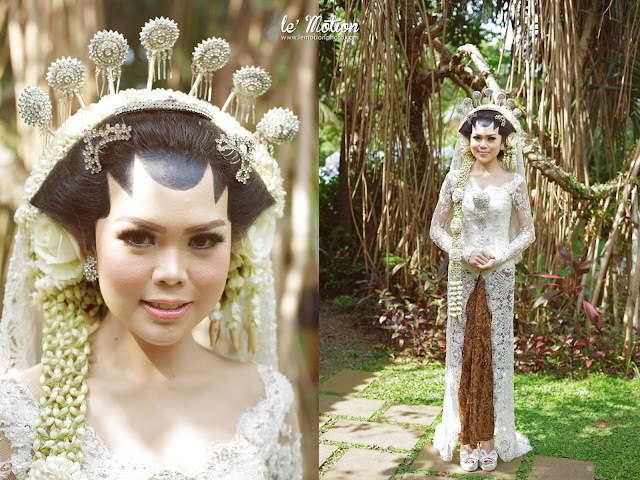 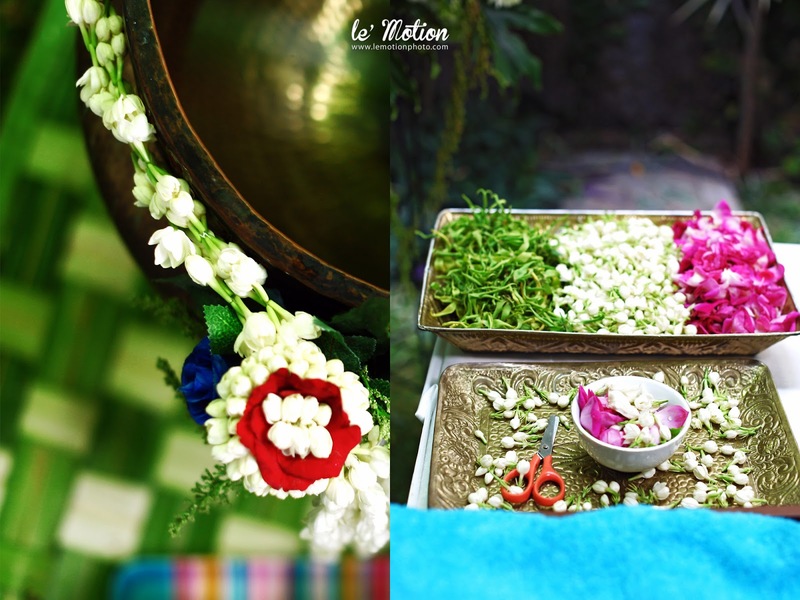 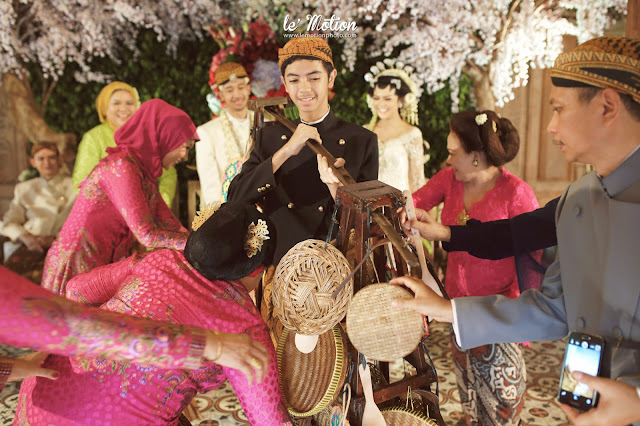 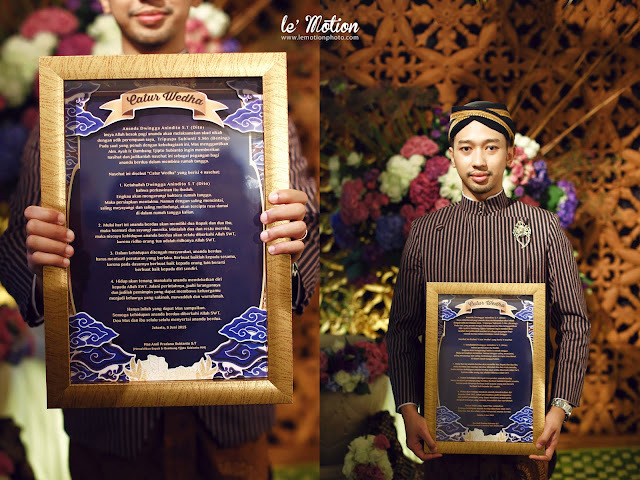 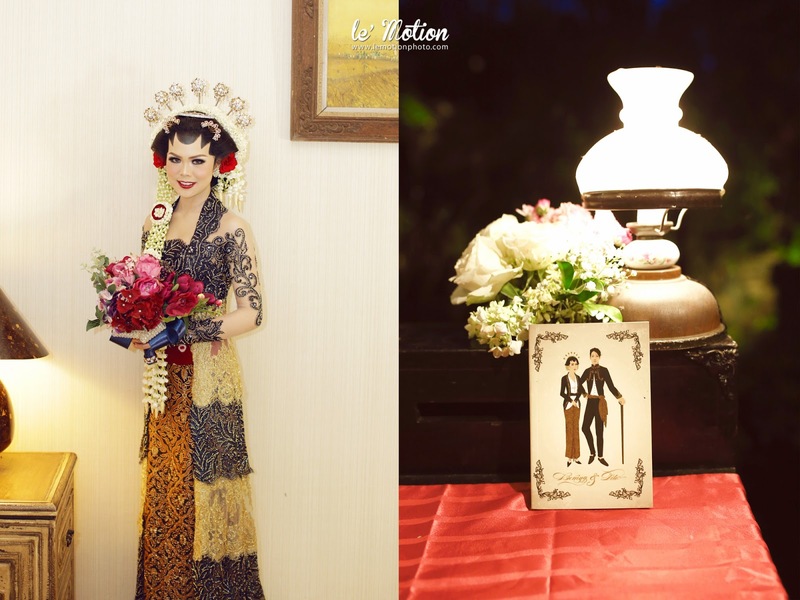 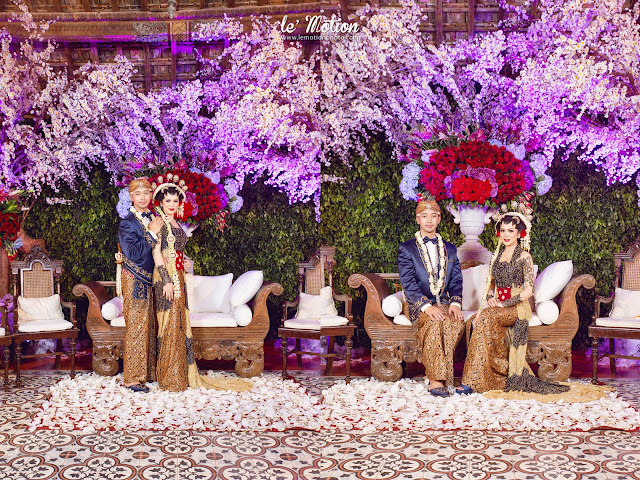 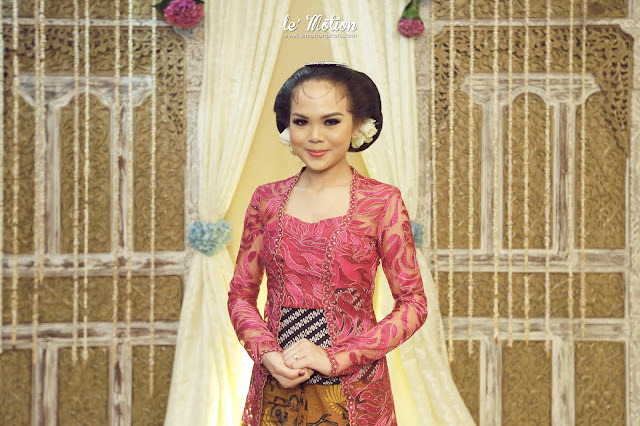 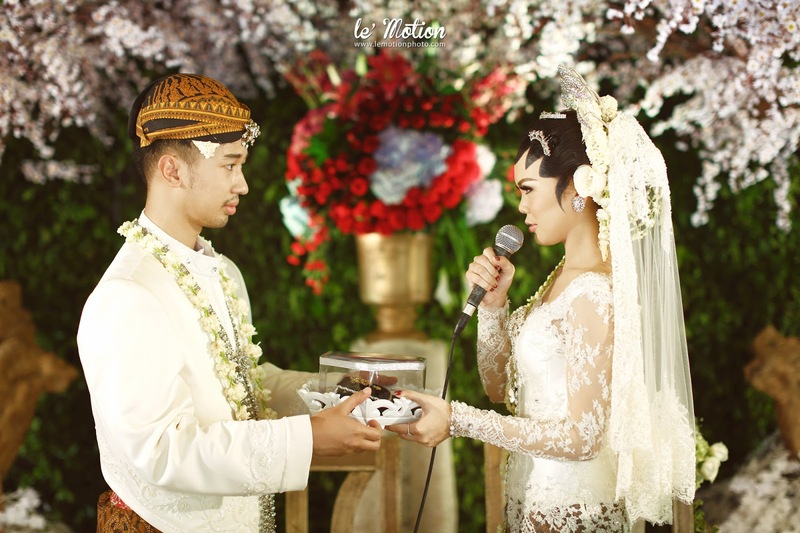 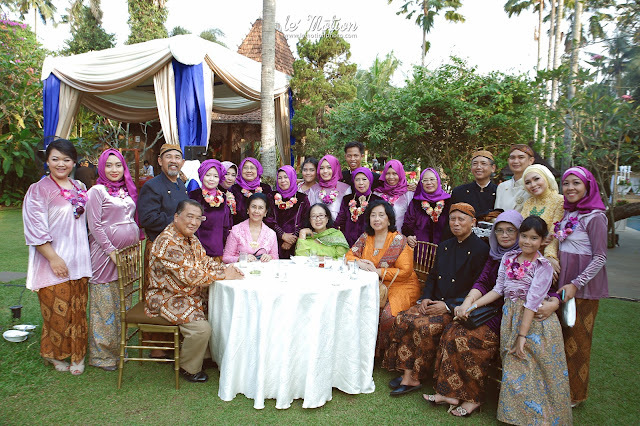 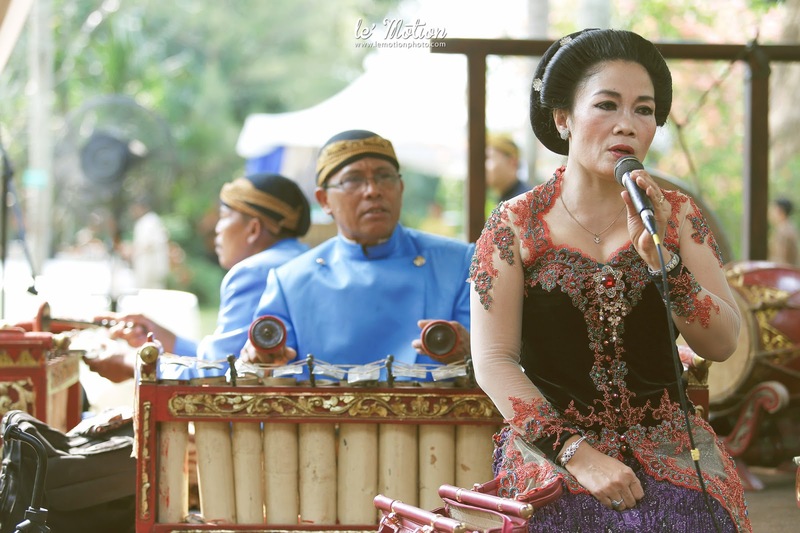 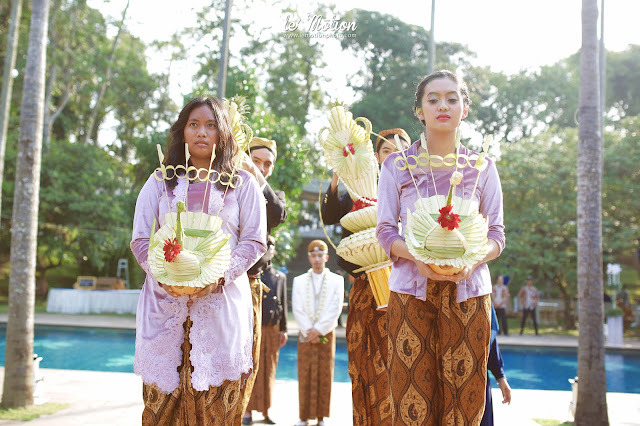 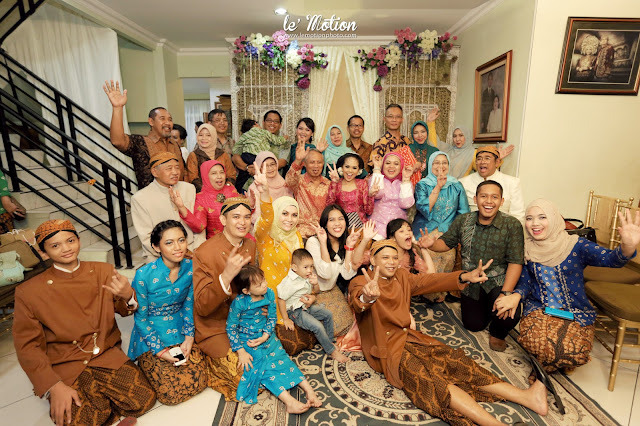 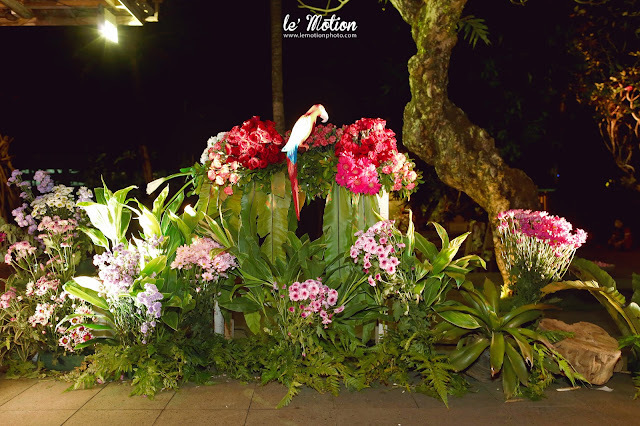 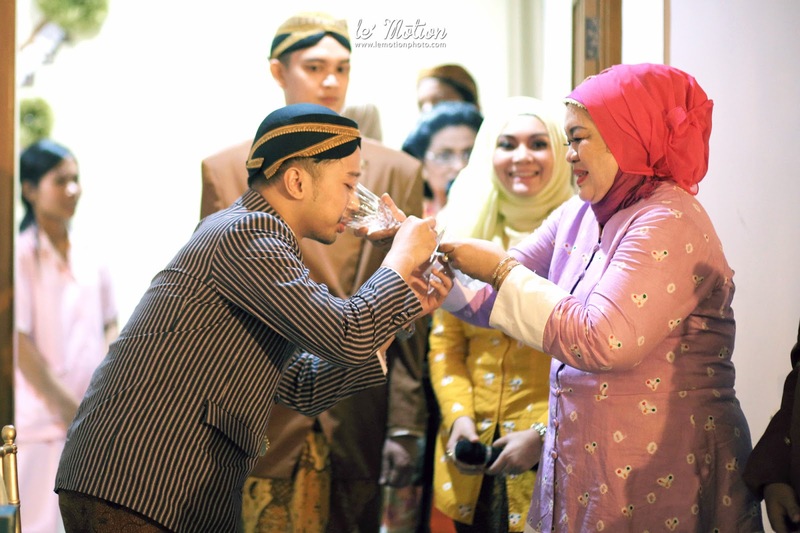 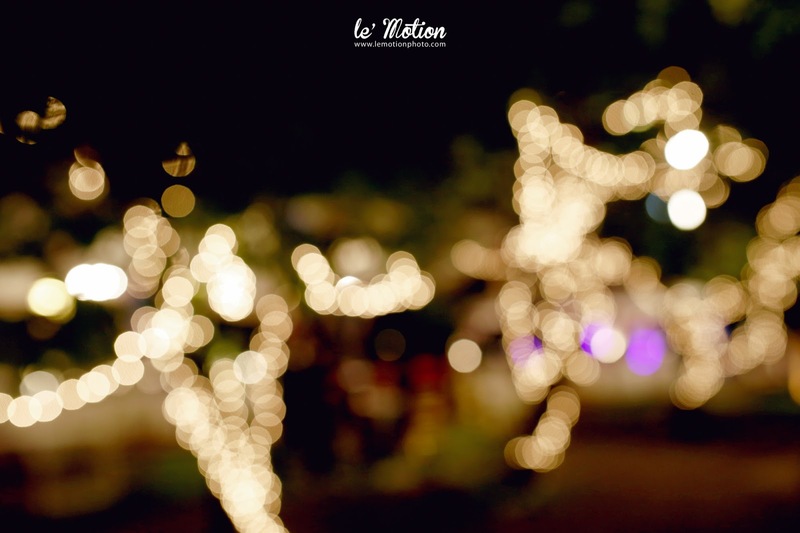 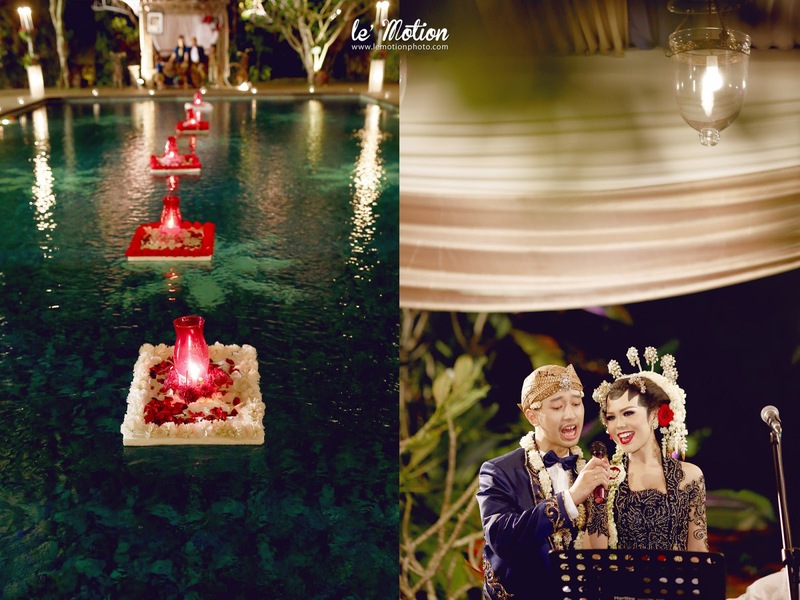 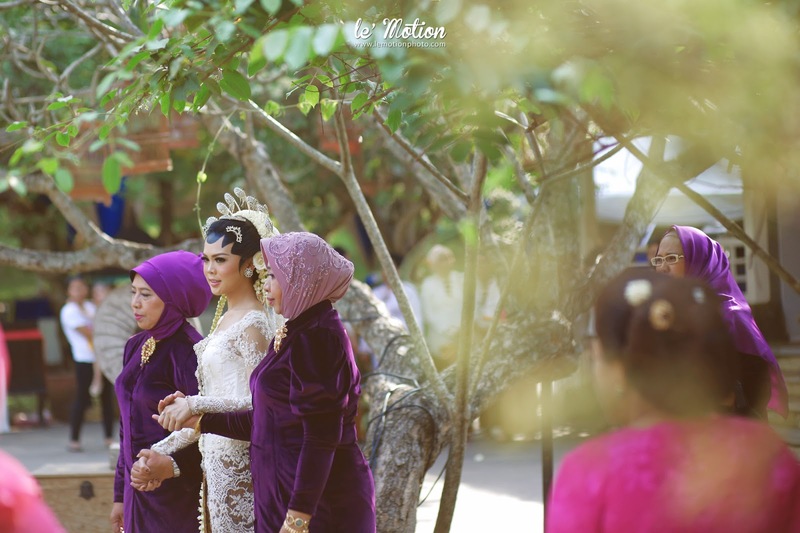 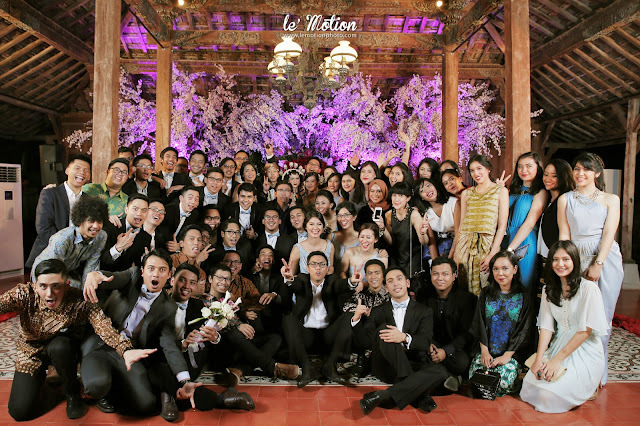 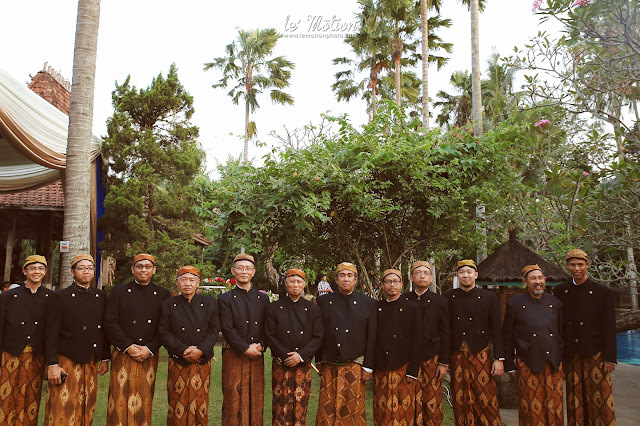 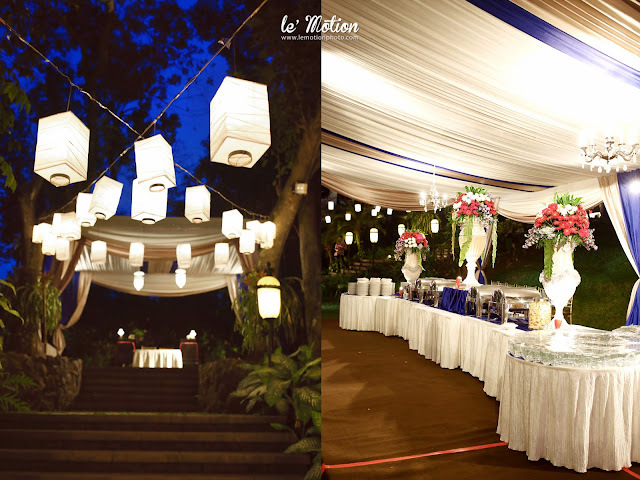 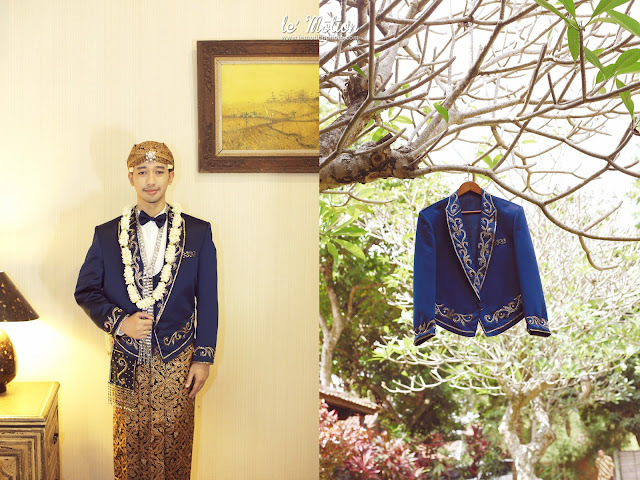 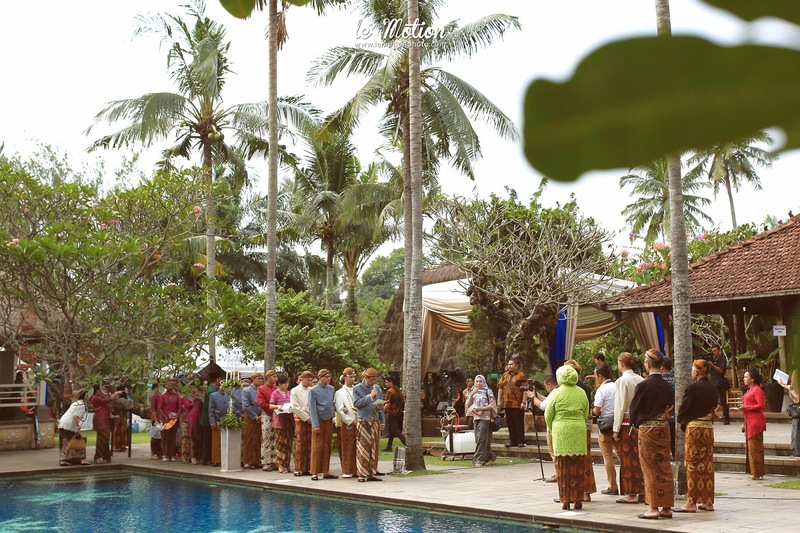 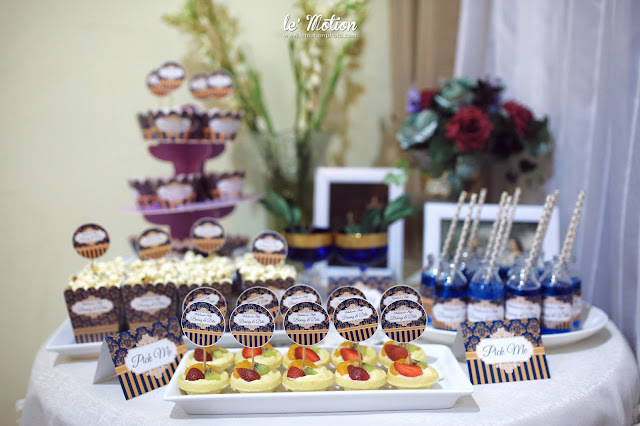 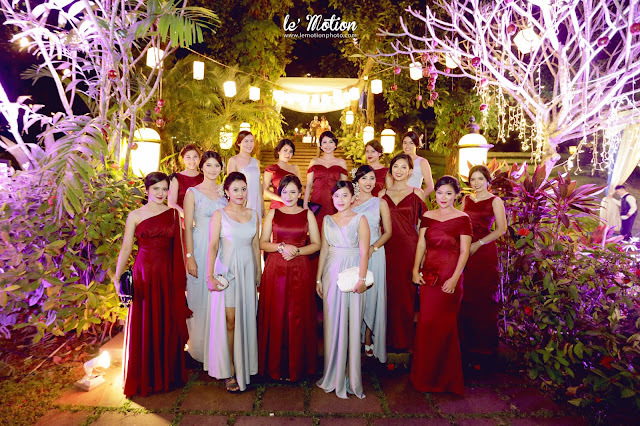 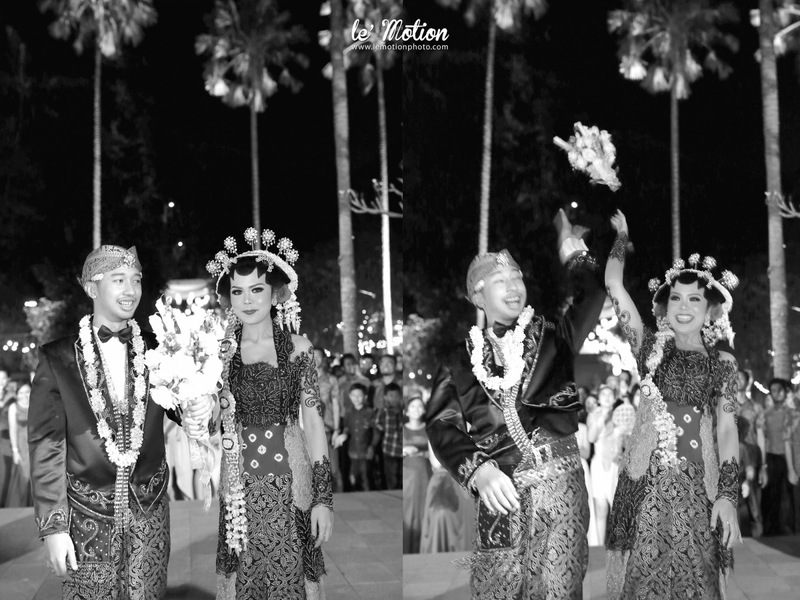 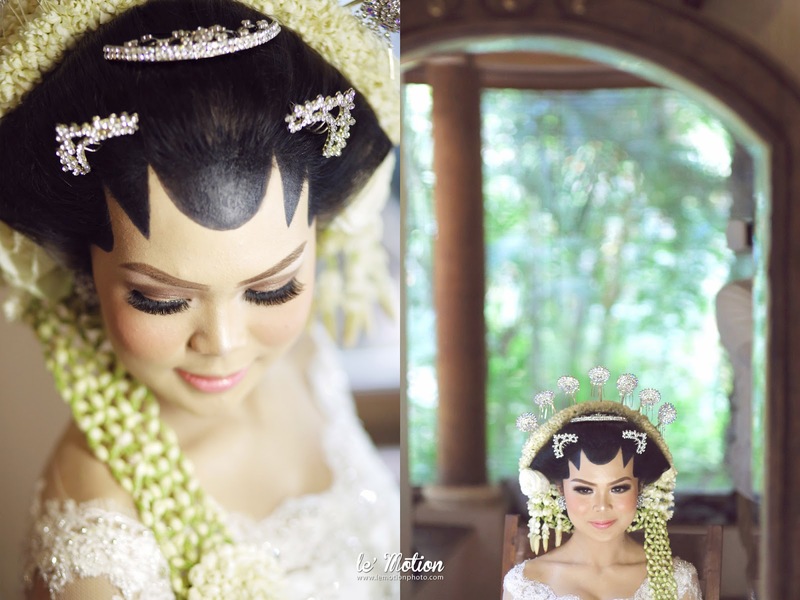 For the theme of the wedding reception itself is “Javanese Fairytale”. 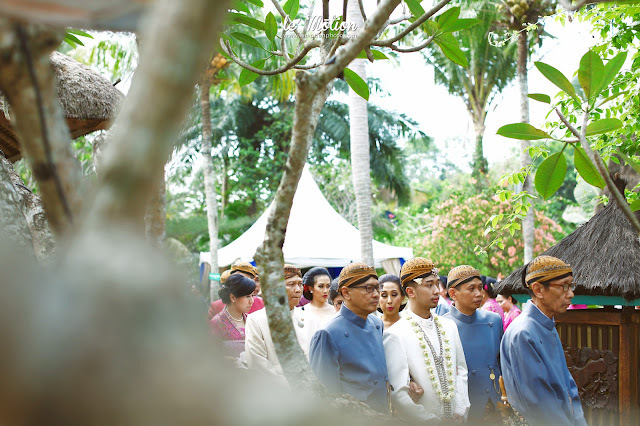 They keep using the Solo tradition but putting some Fairytales ornament to the decoration that inspired by mood world of Maleficient. 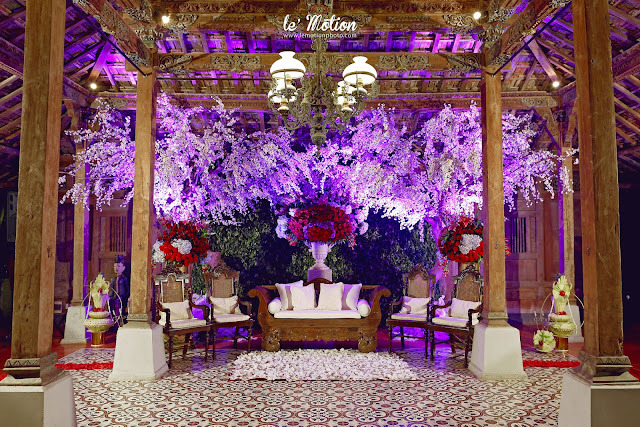 The applications is of course on of the severals is using some apples that hanging on the tree, using branch as a decoration and playing some lightings, lanterns and hanging lamps above the ceilings and the use of palette with the color of flower with the strong point mood of fairytale. 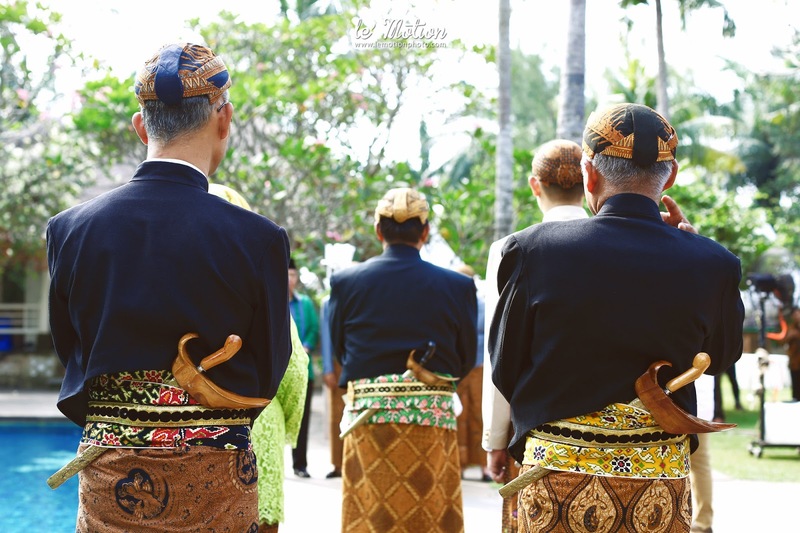 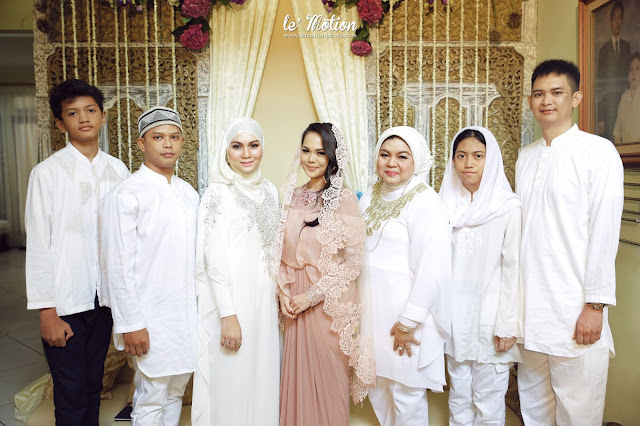 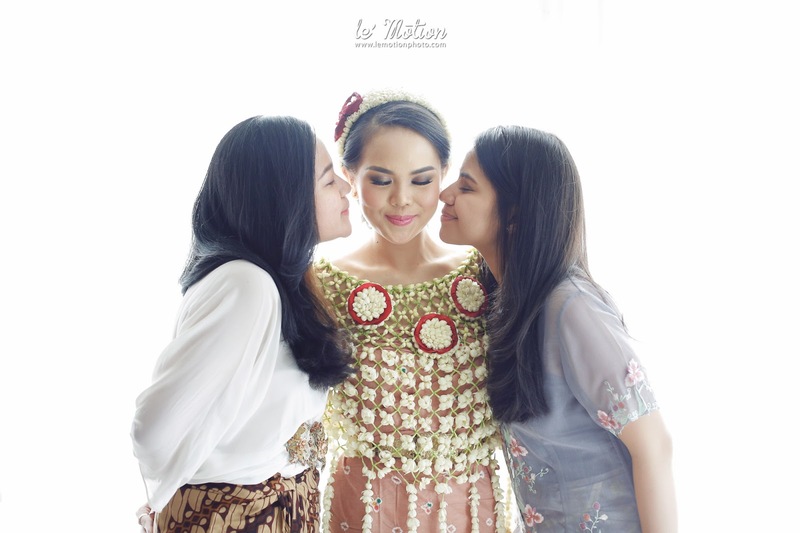 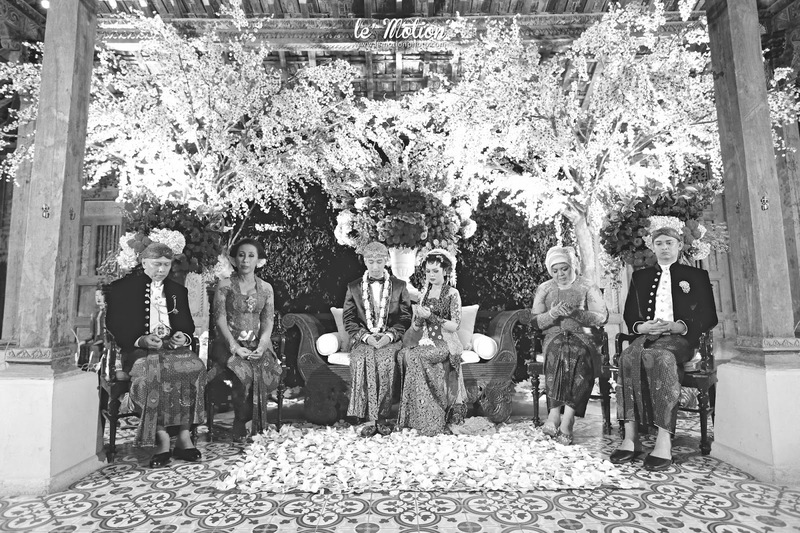 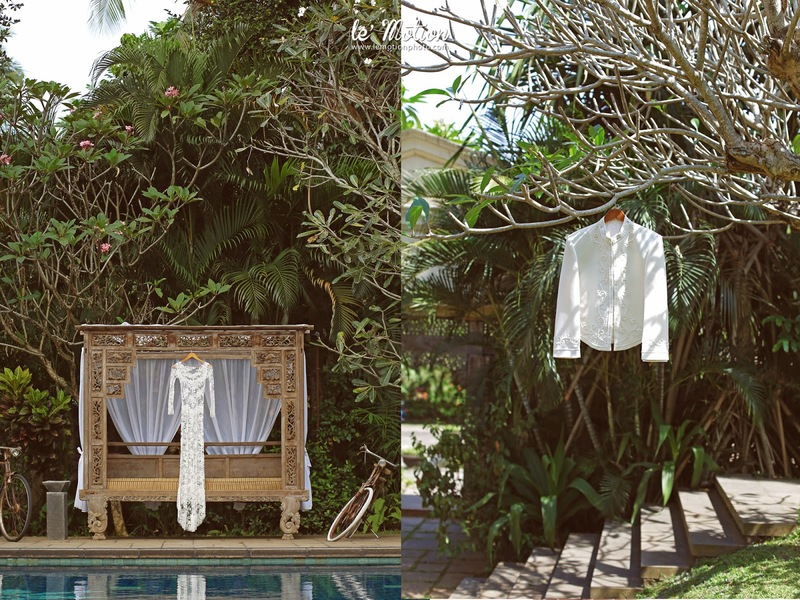 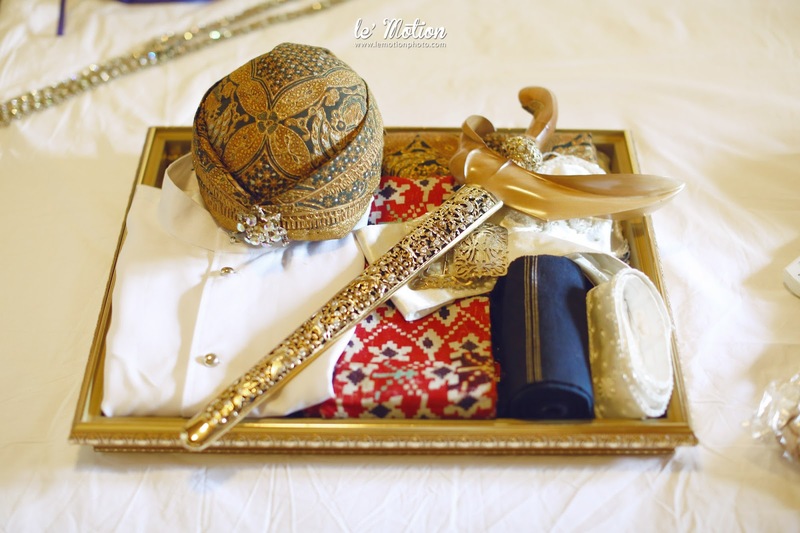 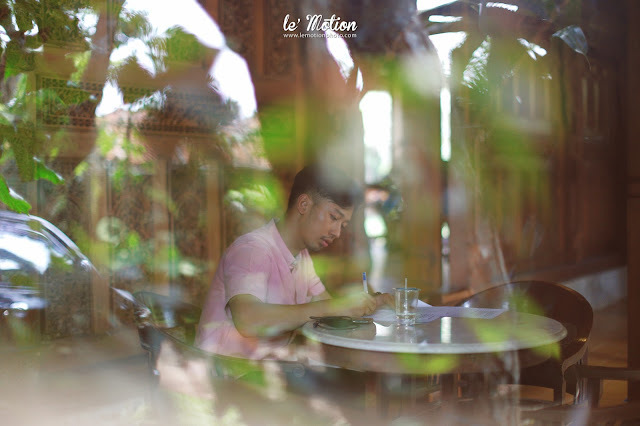 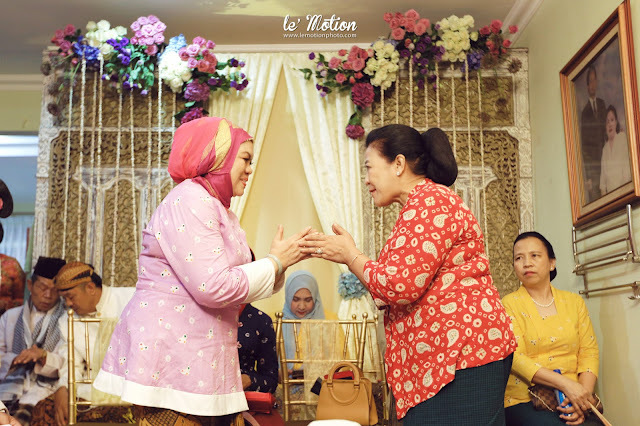 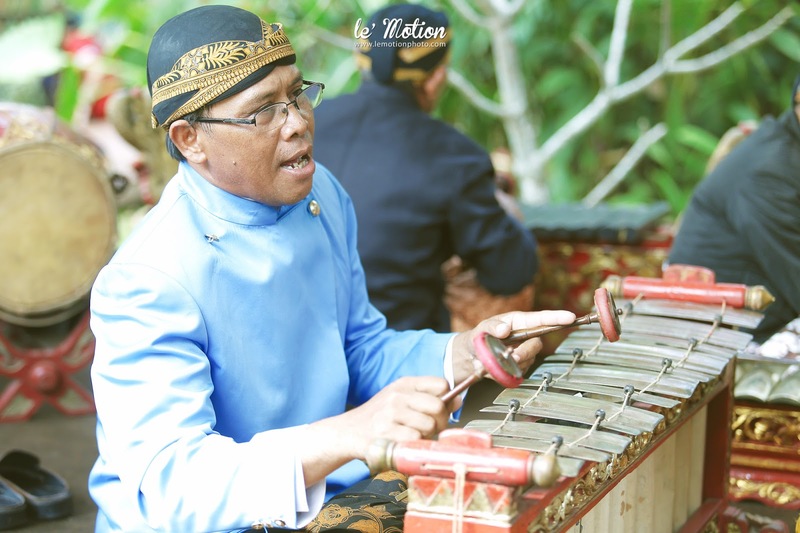 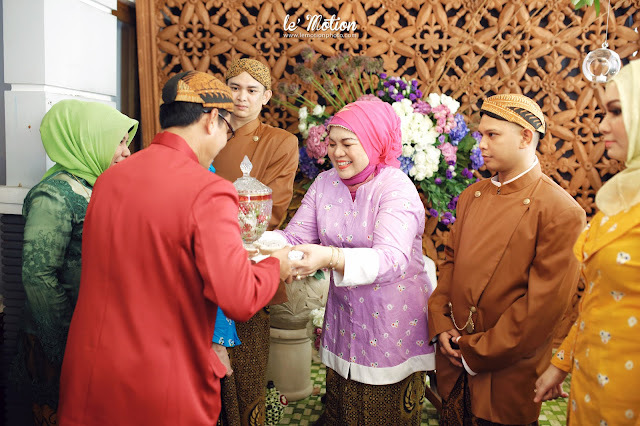 They hope that all the invitations and guests being on the world of fairytale for a while without undermine the scent of Traditional Javanese Culture with the gown and suit itself.